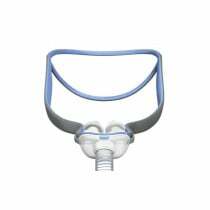 Nasal Pillow Masks maintain Continuous Positive Airway Pressure or CPAP for Respiratory Therapy. 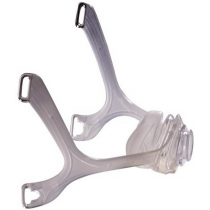 CPAP Nasal Pillows Masks provide treatment for Sleep Apnea patients. Nasal pillow masks are designed to allow respiratory patients to receive sleep apnea therapy with an interface that has minimal contact. Respiratory patients who experience rashes or discomfort to the face from using a full face mask, nasal mask, or another CPAP Mask that has a significant amount of contact with the face, may find the pillow masks much more comfortable and less intrusive. Nasal pillow masks are the best choice for patients with sensitive facial skin, sensitive forehead or a sensitive nose bridge. This mask limits the contact area of the mask to the patient’s nostrils, upper lip and cheek. This limited contact favors patients that toss and turn during sleep or prefer multiple sleeep positions, including back, side or stomach sleeping. Patients that experience claustrophobia when wearing larger masks also benefit from a nasal pillow mask. Patients with a lot of facial hair also do well with this mask. There are slightly varing designs associated with this type of nasal mask. One common element is the nasal pillows interface with two protrusions that insert into the nostrils. 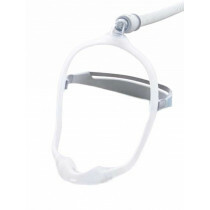 The tubing may be attached at the top of the head or at the nasal mask itself. This mask offers the least footprint against your face. Its design is lightweight and has nothing touching the bridge of the nose or forehead. Because of this very limited contact, many patients find this mask the most comfortable and their best option. For patients who want to experiment with a less intrusive CPAP mask interface, Vitality Medical recommends giving nasal pillows a try. 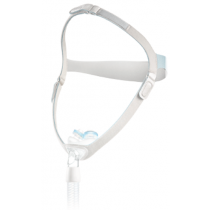 Vitality Medical carries several sleep apnea pillow masks from respected CPAP manufacturers. 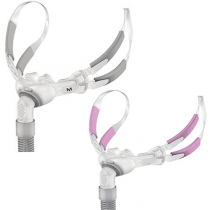 Below is a list of the top CPAP nasal pillows mask manufacturers. What CPAP systems are nasal pillows compatible with? They are compatible with all CPAP systems. What is the most comfortable CPAP nasal pillows? 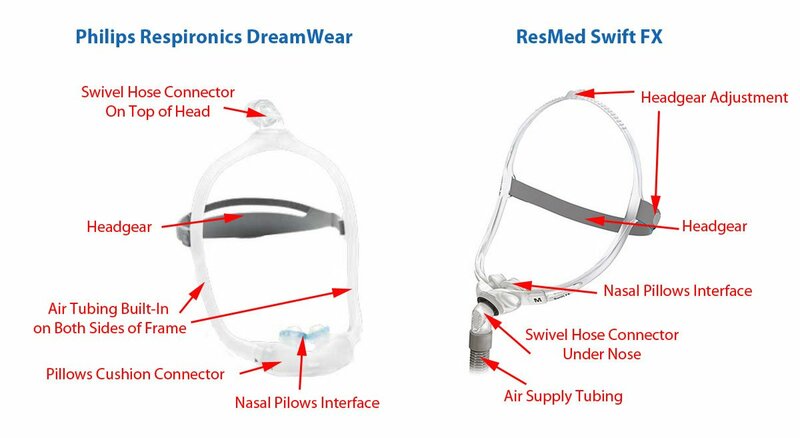 Currently the Philips Respironics Dreamwear Nasal Mask is the most comfortable mask. The air hose route is out-of-the-way connecting at the top of your head instead of below your nose. The frame doubles as an air conduit on both sides of your face so that when you are side sleeping, the other side can still deliver air. 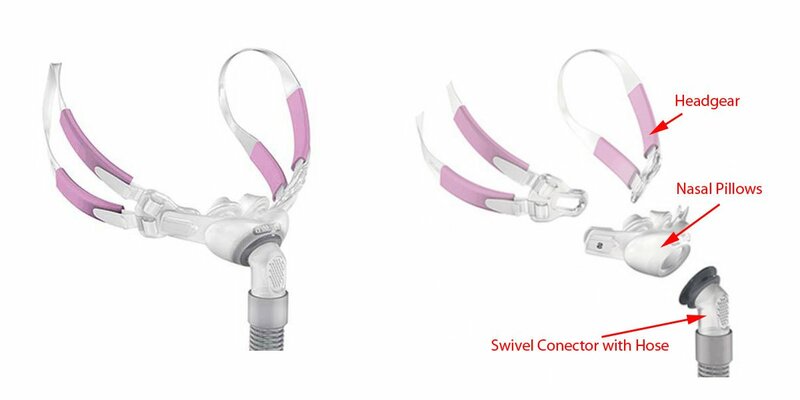 The frame is constructed of soft silicone material similar to the nasal pillows for a soft feel against your face. None of the mask parts are stiff or hard except for the hose connection which location is at the top of your head, out-of-the-way. 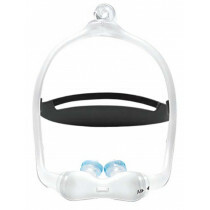 The design of this mask is lightweight, the least intrusive and most conforming to your face and head. What is the best nasal pillows mask? 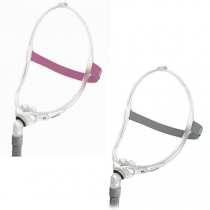 The Philips Respironics Dreamwear Nasal Mask is the least intrusive and the most comfortable. 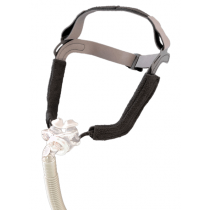 This CPAP mask is the most requested mask at the Veterans Administration. 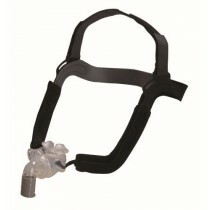 Other highly respected masks in this category include thte ResMed AirFit P10 and the Fisher & Paykel Brevida. Ryan, Silke, et al. "Nasal pillows as an alternative interface in patients with obstructive sleep apnoea syndrome initiating continuous positive airway pressure therapy." Journal of sleep research 20.2 (2011): 367-373. Zhu, Xueling, Alison J. Wimms, and Adam V. Benjafield. "Assessment of the performance of nasal pillows at high CPAP pressures." Journal of clinical sleep medicine 9.09 (2013): 873-877. Ebben, Matthew R., Temitayo Oyegbile, and Charles P. Pollak. "The efficacy of three different mask styles on a PAP titration night." Sleep medicine 13.6 (2012): 645-649.